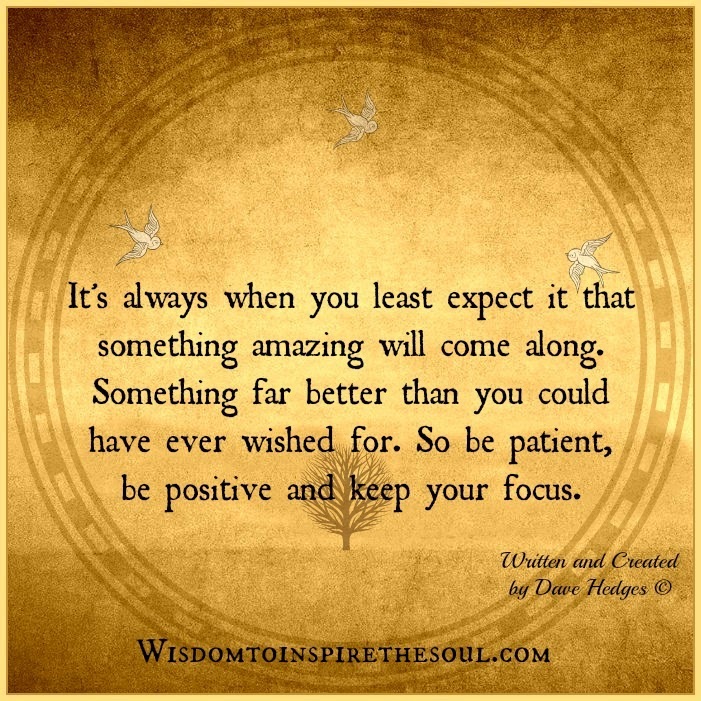 Daveswordsofwisdom.com: Be patient, be positive and keep your focus. Be patient, be positive and keep your focus. It's always when you least expect it that something amazing will come along. Something far better than you could have ever wished for. So be patient, be positive and keep your focus.